Play Juice King the game where you need to mix different fruit together in the blend-o-matic to see if it matches the recipe color. Juice King is a lot harder than it looks. Put your color mixing and matching skills to the test. See if you can beat the final level. 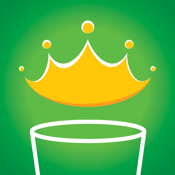 Juice King has 30 rounds over 3 levels to test you skills over 3 different color systems. PLEASE LEAVE A REVIEW SO WE CAN BUILD MORE LEVELS. FB-aholic said "Took me all weekend but I finally figured out the last one.... Lol"
"I love colour mixing. I found it surprisingly challenging, even tho I am a designer."